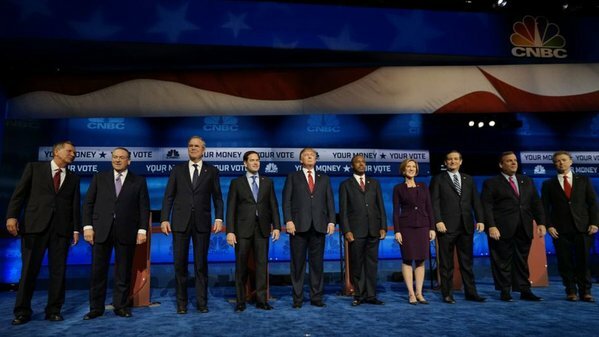 “We’re on the Verge of Picking Someone Who Can’t Do the Job”: Fraying GOP Holds 3rd Primary Debate; Flat Taxes, Ending Medicare-Medicaid, Banning All Abortions: Meet New GOP Front-Runner Ben Carson; Is Jeb Bush Finished? Establishment-Backed Dynasty Candidate Might Not Overcome Family Ties; “Donald Creates His Own Reality”: David Cay Johnston on Trump Rewriting History at 3rd GOP Debate; John Nichols on Paul Ryan: The GOP’s Best Actor Since Ronald Reagan; Do Black Lives Matter to GOP? Christie Slams Obama for Backing Movement Against Police Bias.